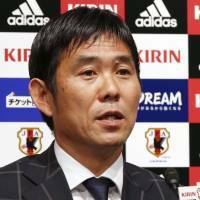 Hajime Moriyasu, who was recently appointed coach of the men’s national soccer team for the 2020 Tokyo Games, said Monday that fans can expect nothing less than his best efforts in his campaign to win Japan’s first Olympic medal in 52 years. “This is a heavy responsibility but I hope to devote myself body and soul to our preparations for the Olympics. I hope we’ll be able to deliver results that will make everyone happy,” Moriyasu said in a news conference. “I’ll do my best for us to win a medal,” he said. The last time Japan won an Olympic medal in men’s soccer was in 1968 in Mexico City, when the team managed by Ken Naganuma beat the hosts 2-0 for bronze. Moriyasu, 49, won three J. League titles with Sanfrecce Hiroshima in 2012, 2013 and 2015 but resigned in July this year with the club flirting with relegation. 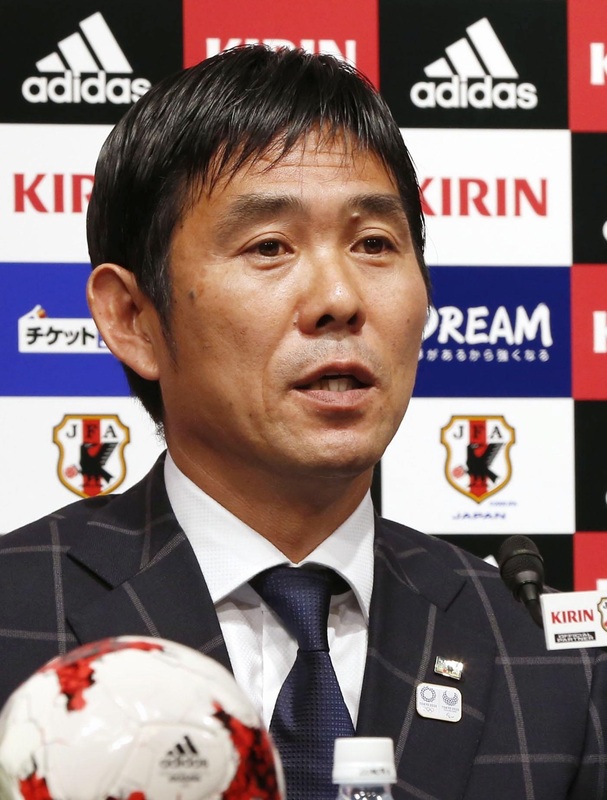 The former Japan midfielder has a sterling reputation working with younger players, which is essential in coaching a side for the under-23 Olympic tournament. At the Rio de Janeiro Olympics last year, Japan was eliminated in the first round under Makoto Teguramori, who is now an assistant to Vahid Halilhodzic on the senior national team and was also mentioned for the 2020 job before the Japan Football Association decided on Moriyasu. Moriyasu’s first duty at the helm will be the international tournament in Thailand in December. Japan will also compete in the Asian Under-23 Championship in China in January next year.